Alice Ghostley, who was best known for playing Esmeralda on "Bewitched" and Bernice on "Designing Women," has died at 81. Ghostley died Friday at her home in Studio City after a long battle with colon cancer and a series of strokes. Ms. Ghostley won a Tony for best featured actress in, "The Sign in Sidney Brustein's Window." Ghostley's film credits include, "To Kill a Mockingbird," "The Graduate," "Gator" and "Grease." 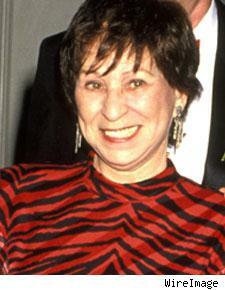 Alice Ghostley was married to actor Felice Orlandi, who died in 2003, and is survived by her sister, Gladys.